Hello, Gorgeous! 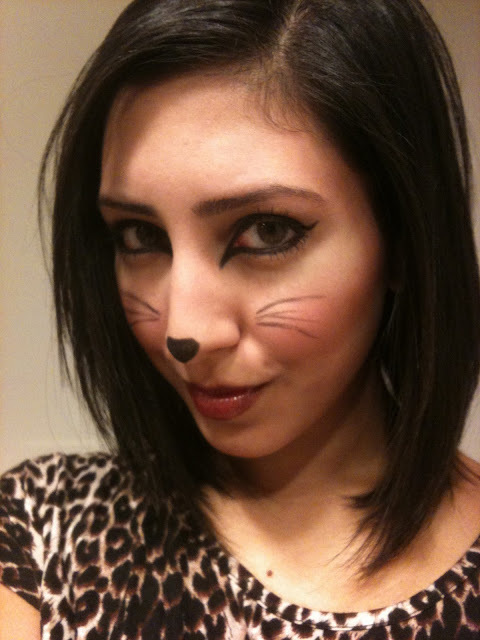 : makeup tutorial: easy halloween cat make-up. makeup tutorial: easy halloween cat make-up. Hello, my Loves! How are you? I am having a relaxing day at home by myself. I cooked a little bit of shrimp pasta for dinner, and now I'm watching re-runs of The Real Housewives of Beverly Hills-- Mind numbing TV at it's best! Halloween has always been one of my favorite days of the year. I absolutely adore dressing up. And I almost always put together an outfit out of things that I already own. Sometimes I will buy a hat or some accessories to add on to my outfit. But, I love the creativity that comes from creating a costume out of my own belongings! In the past few years I have been: A Wicked Witch, Minnie Mouse, Santa's Helper, Morticia Addams, a Doll, and The Corpse Bride. 1.Because I love kitties. 2.Because I have a leopard print shirt. That's pretty much it! Haha. All I really need is some leopard ears and I'm set! Generally, if I make an outfit out of what I already own, I like to amp up my makeup to add to the costume. And I usually have a makeup trial well before Halloween to really get the look down. All you need to do is apply a brown eyeshadow all over your eyelids, then draw on a very exaggerated cat eye with a good black eye pencil. I use Revlon ColorStay eye pencil in Black. First, line the upper lash line, making sure to draw the line out extremely far, both ways (the outer edge and the inner edge). Then, line the inside and the underside of the lower lash line. Finally, put on a couple of generous coats of mascara. Draw on a heart shaped 'cat nose' with the same black pencil. Lightly blot your new nose with a tissue so that it doesn't smear later. 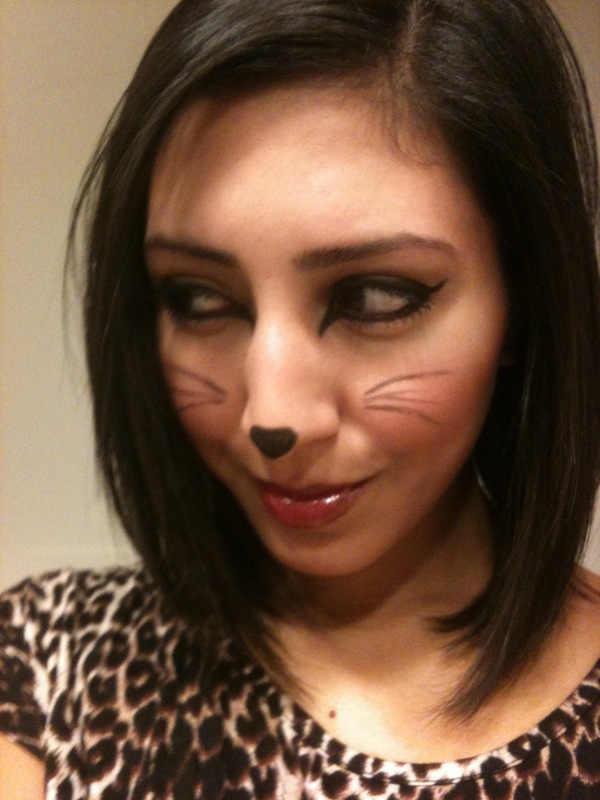 Using the same eye pencil, lightly draw on a few 'whiskers'. Don't worry about making them even. They look more interesting if they're not too perfect. What are you going as for Halloween?! Are you planning on doing anything fun? 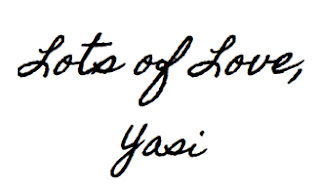 Thanks for the wonderful comment you left to my blog! I've been wondering where you went b/c your posts hadn't been showing up on my blog roll...it was a good thing you added your blog's new HTML link to your comment. FYI; once you change the HTML link to you blog--the blogroll list will not change over to it and we may not get your new posts under new name. it might be a good idea if you inform old followers that your blog's name has changed so we all can switch over from cat's meow to this new HTML link name for your blog! what i wore: don't stop be-leave-ing.